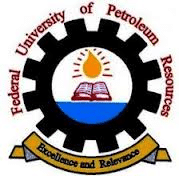 The Federal University of Petroleum Resources Effurun, FUPRE has announced the resumption date for Fresh and returning students for the 2018/2019 academic session. All returning students of the Federal University of Petroleum Resources Effurun (FUPRE) are hereby inform that the resumption date for the first semester, 2018/2019 academic session has been approved and fixed by the school senate. The FUPRE 1st semester resumption date and commencement of course registrations for all returning students commenced on Monday, 19th November, 2018. Old/Returning students will commence lectures on Monday, 26th November, 2018. Returning and New Students are, accordingly, advised to commence registration procedures without further delay. FUPRE resumption date for freshers has been announced. New students will resume academic activities for 2018/2019 session on Monday, 12th November, 2018. While lectures starts on Thursday, 6th December, 2018. Payment of charges and registration will end on Friday, 2nd Feb., and 9th February, 2018 for Returning and New Students respectively. All according to the management. Senate will NOT entertain appeals for extension of period of registration.